Inspect the turbocharger coolant pipes for ridges and damage. 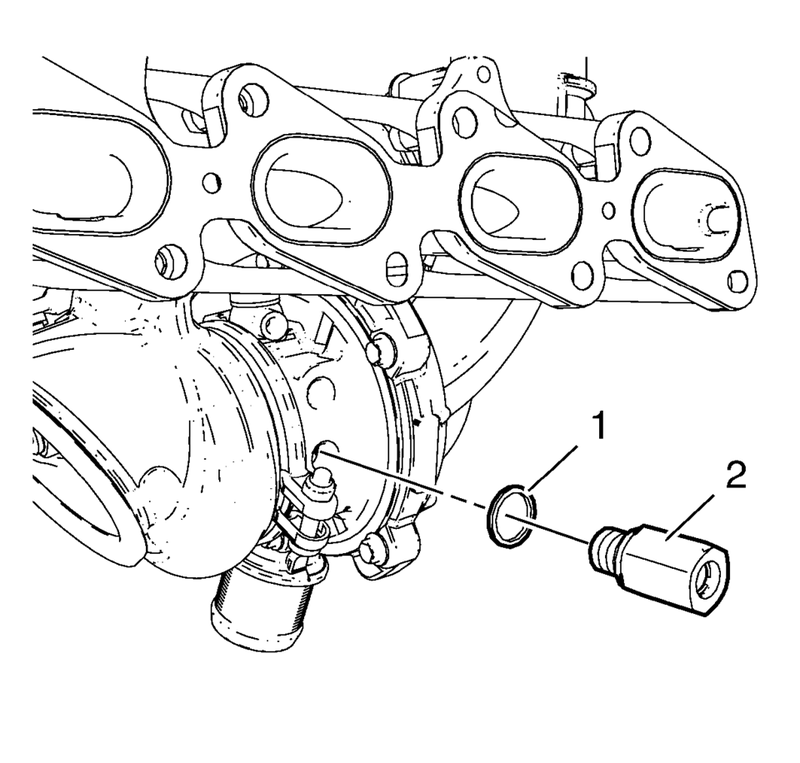 Install the turbocharger coolant feed pipe (1) to the quick fitting connector (2) by pushing in direction of the arrow until an audible click is heard. 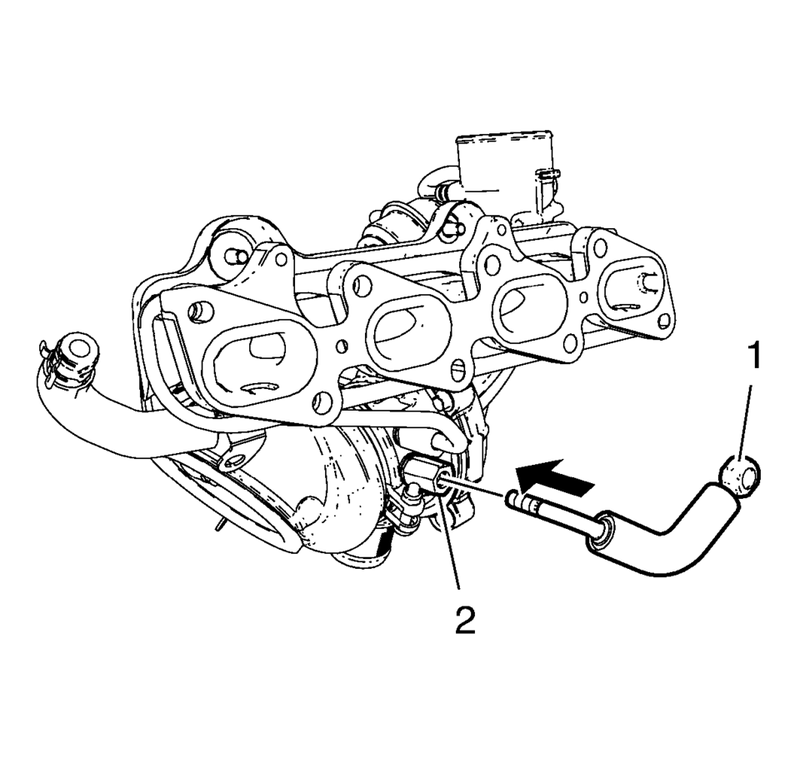 Use the same procedure for the turbocharger coolant return pipe and the turbocharger coolant return pipe quick fitting connector. 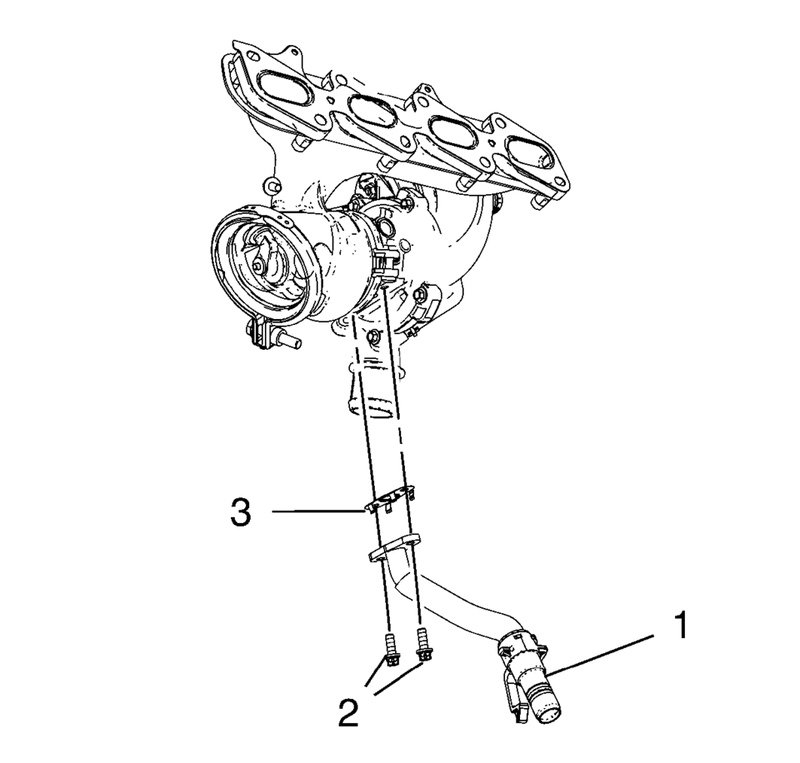 Install the turbocharger oil return pipe (1) and a NEW sealing (3) to the turbocharger.